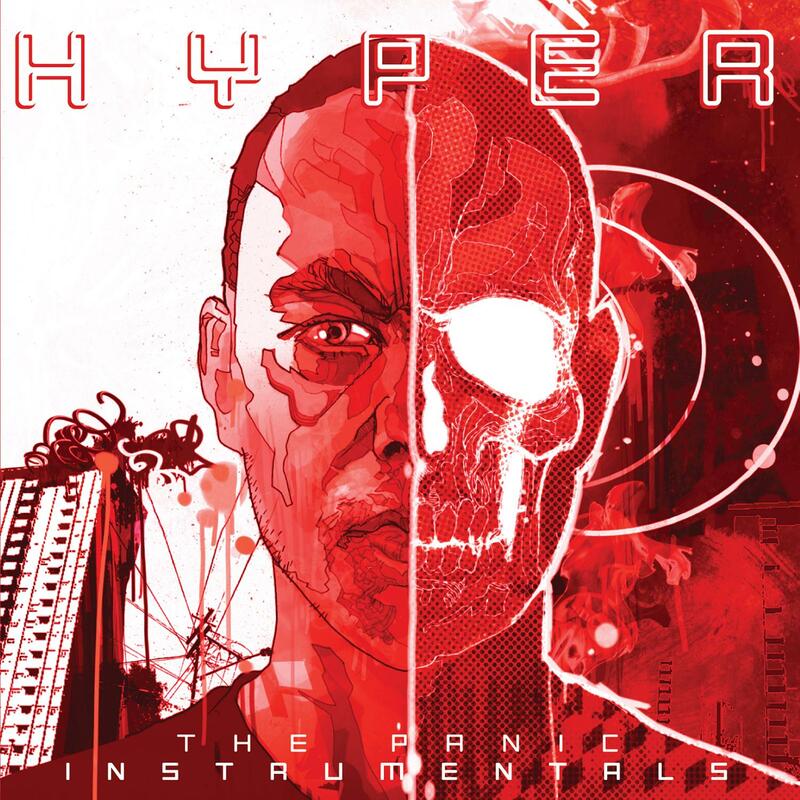 After high demand from fans, we are pleased to announce the instrumental version of Hyper's critically acclaimed last album 'The Panic'. Having shot into the consciousness of almost every dance head and aficionado ten years ago with the eponymous Y3K compilation series, he has since released two critically acclaimed albums, remixed everyone from Foals to Futureheads, Pink to Paul Van Dyke and toured the world with his band. From the opening track and first official single 'The End' with its soaring synths, beautifully tense guitar lines and huge power downs (tipping its cap to NIN) to the trip-hop night cityscape vibe of 'Tear The Silence' through to the Primal Scream meets Pendulum treatment in 'Accelerate' and the explosive power pop of 'Machine'; there is a distinct feeling of contrast and opposing forces as you journey through Hyper's vivid and colourful world. This feeling is emphasised in the album cover brilliantly designed by DC Comic's 'Christian Ward', which highlights the split personality that comes across when you hear the album.